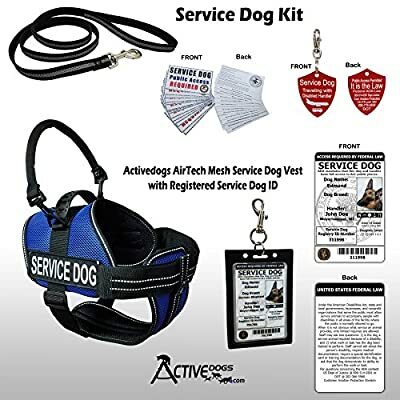 Size: -- Choose Size -- 2XL - girth 32"-44" L - girth 25"-35" M - girth 22"-30" S - girth 19"-24" XL - girth 29"-40" XS - girth 16"-20"
ActiveDogs Service Dog Mesh Air-Tech Vest is LIGHTWEIGHT & BREATHABLE! How can a mesh vest be padded and yet still breathable? It is because of the unique technology of the vests backing. This is not a flimsy Mesh Cape style vest it is a padded durable mesh harness style vest. With the unique technology this vest is lightweight and breathable at the same time with padded comfort for your dog. Because the backing on this vest is an air breathing padded fabric. 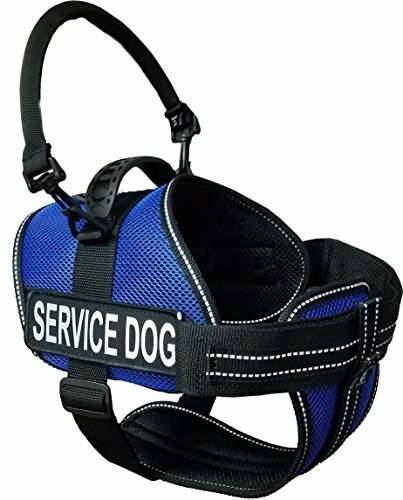 The Service Dog Mesh Air Tech Vest comes with a contoured chest connecting pad that also uses the same breathable backing as does the vest. 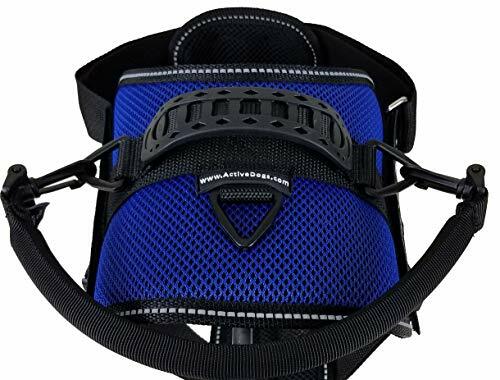 The chest and girth straps of this vest connect together with the chest pad so the vest stays in place while your dog is working. The chest and girth straps are both adjustable. 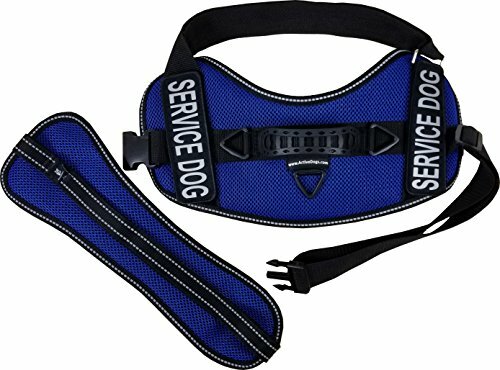 The vest can be put on and removed with ease by using the nylon side release buckle on the girth strap. There are no floppy strap tails as the strap ends are built into the straps on this mesh vest. The vest and chest protector are both trimmed in a reflective webbing, assuring high evening visibility. 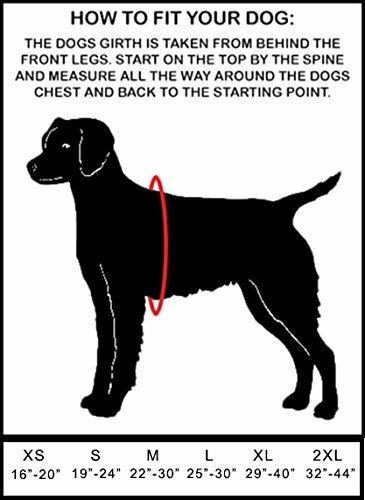 There is a rubber molded handle on the back of the harness to keep your dog close and have quick control in any situation. There are 3 Tri-Rings on this vest. 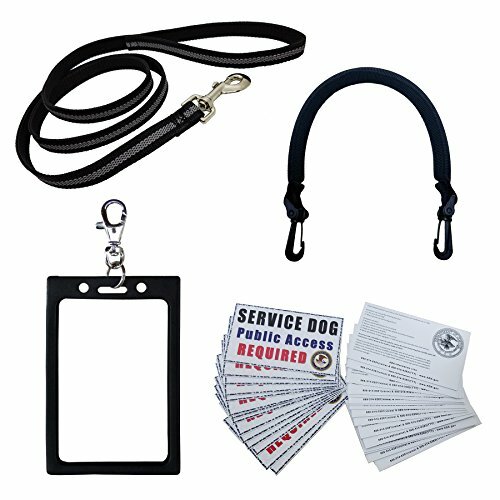 This makes for easy attaching of a leash and the clip on Bridge Handle. The removable Bridge Handle comes with the vest. You can effectively identify your dog as a Service Dog with the large highly visible reflective Service Dog patches. These patches are attached with Hook & Loop, so they will stay attached, but can be removed should you want to use other patches.